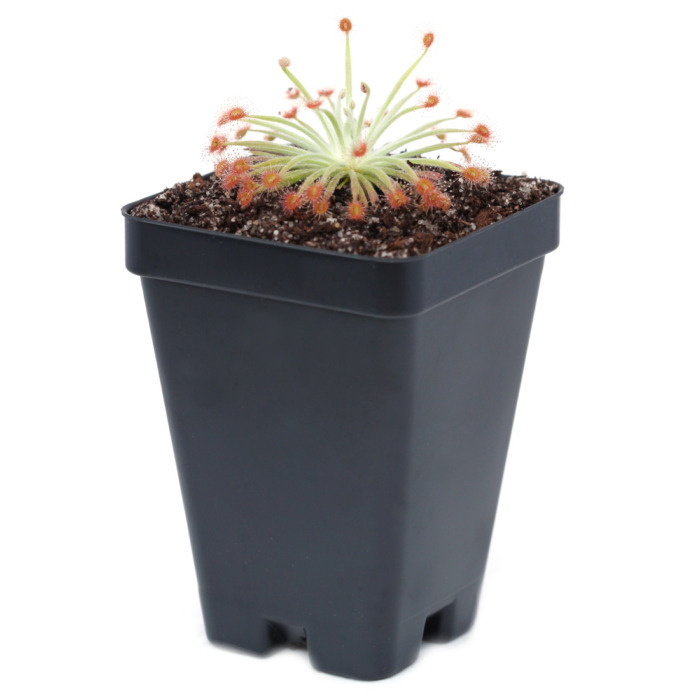 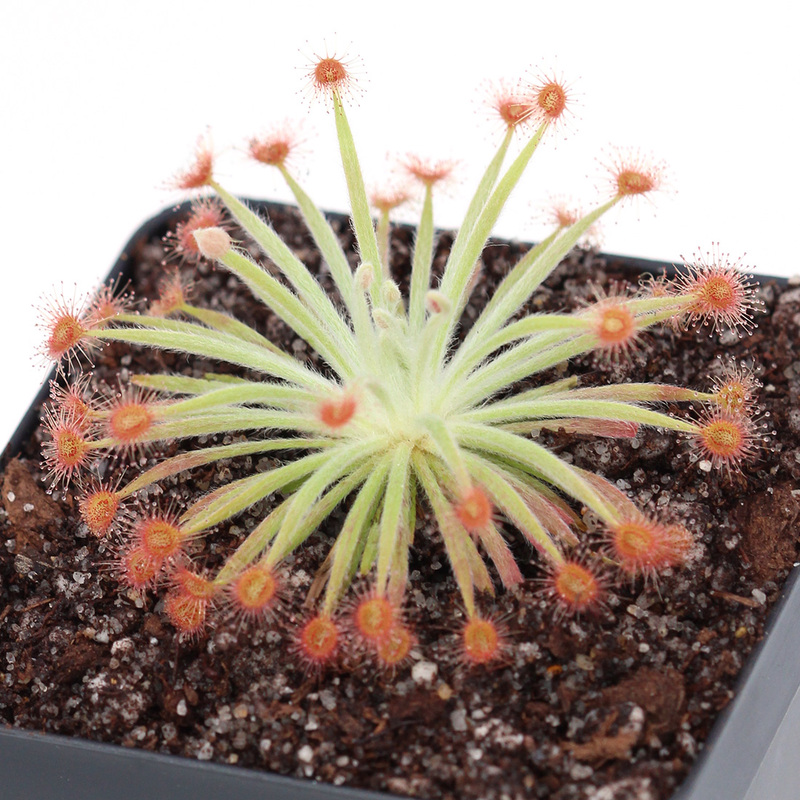 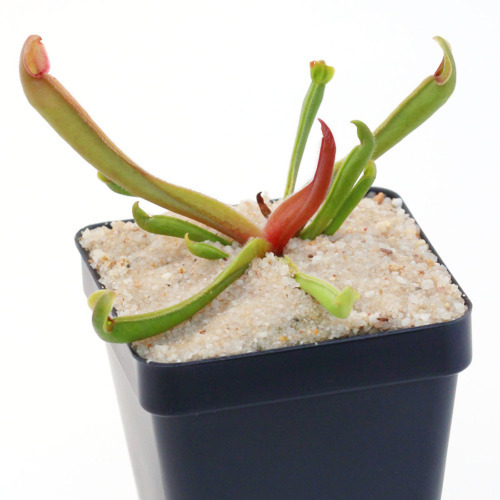 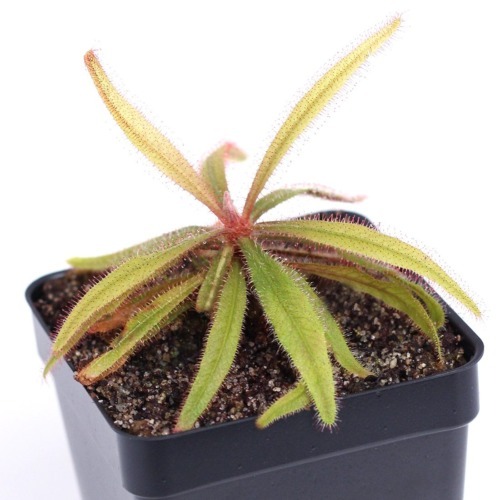 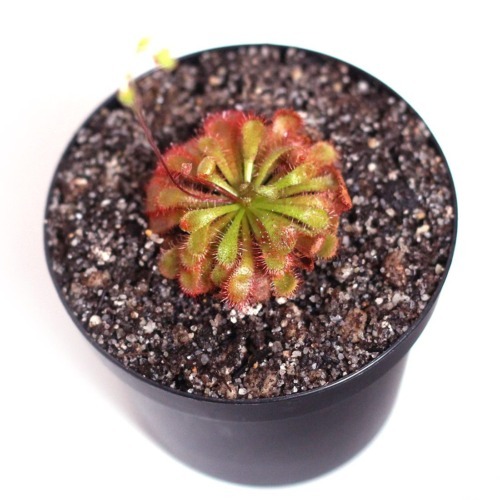 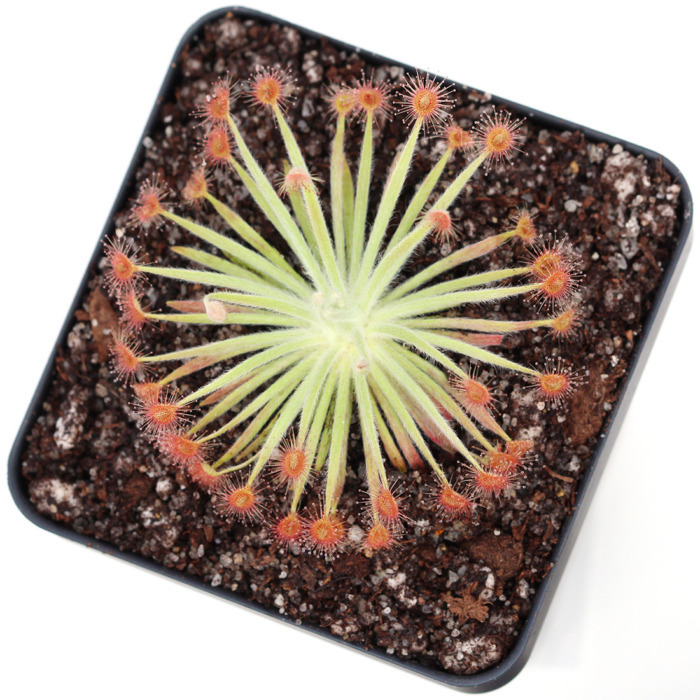 This Drosera derbyensis x ordensis hybrid was created right here at Curious Plant! The offspring appear to have the strongest resemblance to the mother plant (D. derbyensis) with narrow petioles and light orange/red leaves. 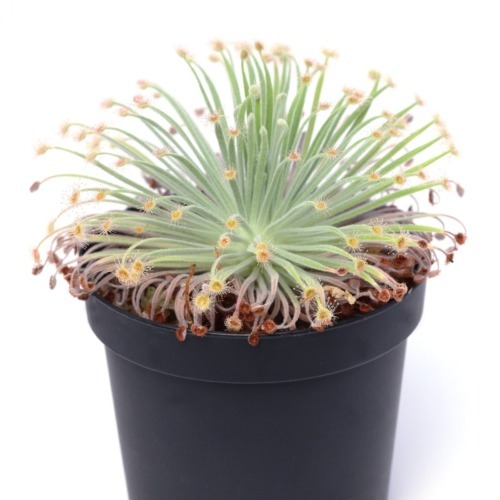 We’ve yet to observe floral characteristics.